I think this little guide dates from 1902 as it shows the trams which Thanet got in 1901 but it doesn't mention the Royal Victoria Pavilion which was built in 1903. Colour photos at this time were not something easy to produce cheaply and I think this guide uses something based the chromo lithography used for the postcards of this period. 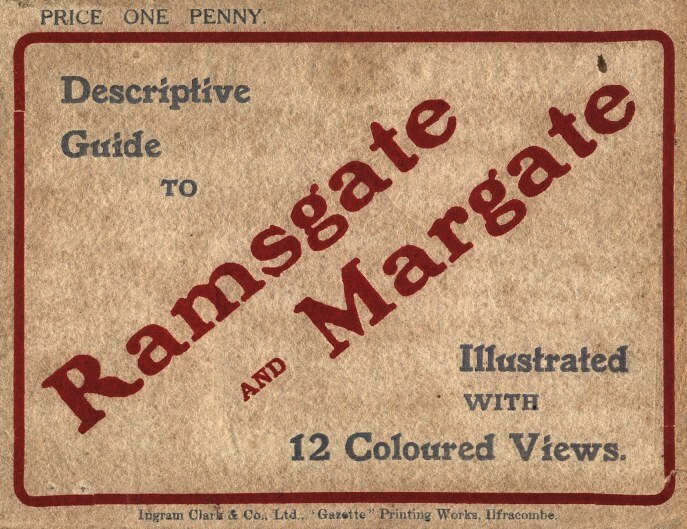 The original cost of the guide 1P would have been heavily subsidised by the advertising, which has now become at least as valuable to us as the guide text. Like other guides of this period some of the text is still focused on the medical cure aspect of the seaside, which then was probably considered as important as the holiday. This is my 199th publication, so a bit of landmark for my local book publishing enterprise and my first in the “duchess” or A6 size, the same as the original.